So, Laragon 3.0 was released, it has all the services in 64-bit by default and other shiny new changes. The news was on and oh yea! I want one. In a jiffy, I downloaded the distributions for wamp, Nodejs and Java. Then began my travails: I did not read the release notes or any migration guide. I installed the new program blindly. After a successful installation, I start the program and click on start all to turn on Apache http server and MySql server. As usual, I visit demo.dev in my web browser, and I got database user error. So, I thought, the user doesn’t exist yet; let’s create it. I visit http://localhost/phpmyadmin to create a new database user alas! I was met with a 403 Forbidden Error! How can I be forbidden in my own local dev environment? My projects, my databases! I scrambled round folders and config files, trying to fix this seemingly small issue and yes I was able to fix it the second day? No! Not at all. It lasted until the weekend when I was calm enough to look at the issue objectively. 1. phpmyadmin has been replaced with HeidiSQL. So http://localhost/phpmyadmin has been replaced with http://localhost/adminer. Although the phpmyadmin folder yet exists, Apache HTTP Server has been configured to deny access to it by default. 2. The data dir now has a mysql folder where your MySQL data, preferences and database folders are stored. 4. There will be another mysql folder (c:\laragon\data\mysql\mysql) in the destination folder. It is for the mysql database that has the mysql user table and others. Just leave it as it is. 6. 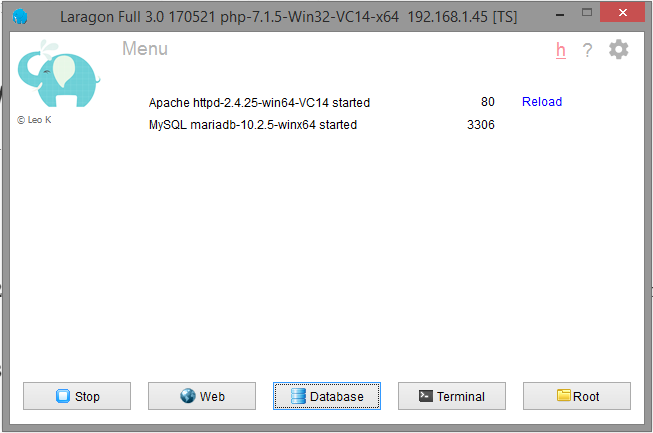 If you start HeidiSQL now and logged in as a root user, you will see all your database tables with their data. If you try to create a new database user, you may be met with an error indicating the user table need repairing. If you are new to Laragon altogether, start by reading this intro article here. That’s about as much as it gets. If you find this post helpful, learnt anything at all, just share it with your friends on Facebook and Twitter. Let everyone know what quality content you read, especially in these days of junk everywhere.